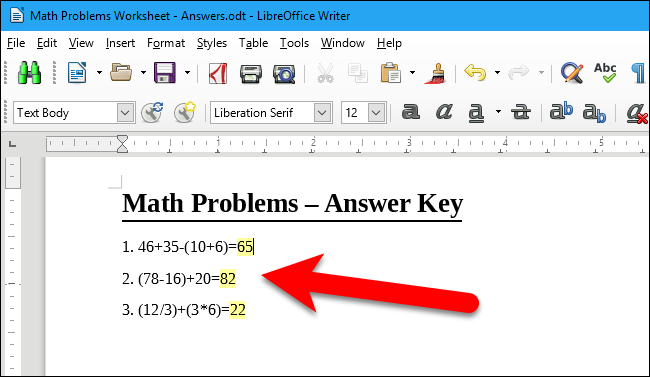 Fields in LibreOffice Writer allow you to add data that changes to a document, such as the current date or total number of pages in a document, and to insert and calculate formulas. 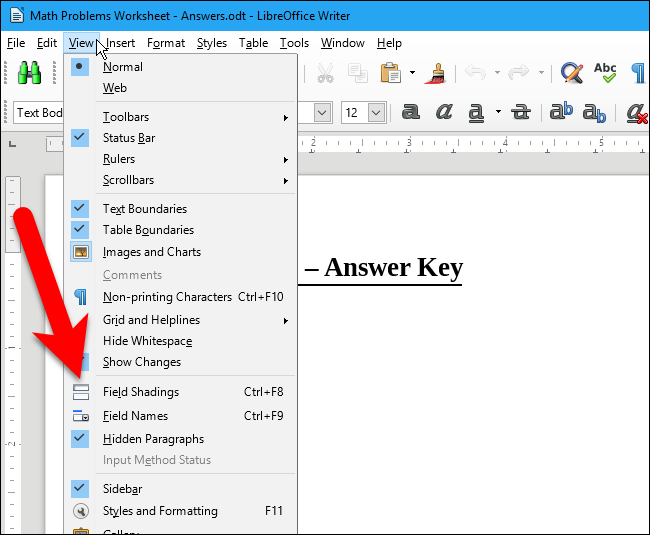 By default, fields are highlighted in gray. You can hide the shading if you don’t want fields to be highlighted. The color of the shading can be changed as well. This is useful if the default gray shading is too dark for you—you can select a lighter color instead. 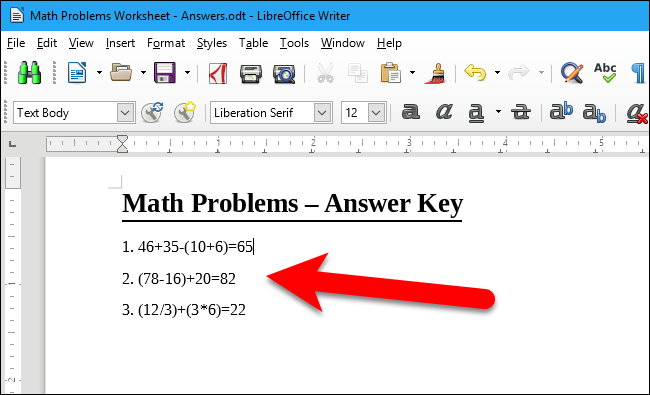 In the image below, for example, we used the Formula bar to calculate some equations, and the results are inserted as fields highlighted in gray. Let’s say we want to change that. Start by opening the View menu. Notice that when field shading is showing, the icon on the Field Shadings option is highlighted in blue. To hide field shading, click the “Field Shadings” option to de-select it. You can also press Ctrl+F8 on your keyboard. The fields in your document will no longer be shaded. When field shading is not showing, the Field Shadings option on the View menu is not highlighted at all. To show field shading again, simply select “Field Shadings” again, or press Ctrl+F8. If you still want to show the field shading, but you don’t like the default gray color, you can change the color. To do this, go to Tools > Options. 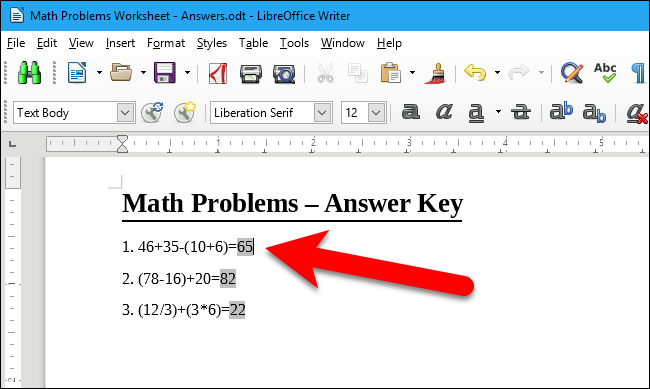 Under LibreOffice, click “Application Colors”. 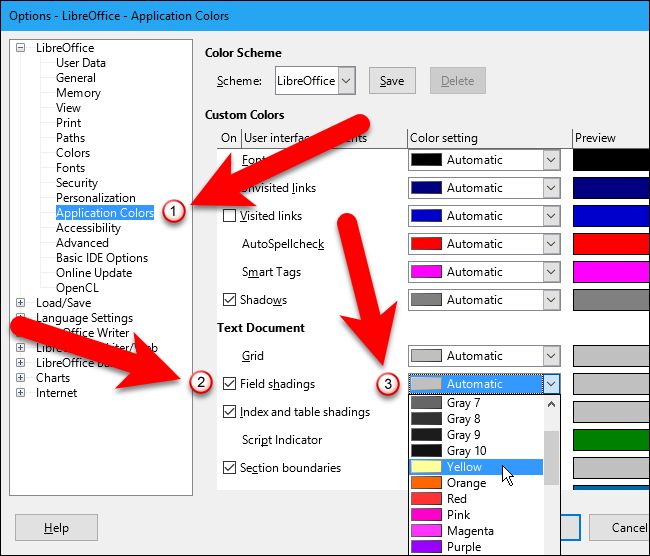 Make sure the “Field shadings” box is checked and then select a color from the drop-down list to the right of the Field shadings option. The field shading changes to the selected color. The light yellow we chose makes it a bit easier to read the highlighted text on the fields. The Field shading check box and color selector affects all the programs in LibreOffice. 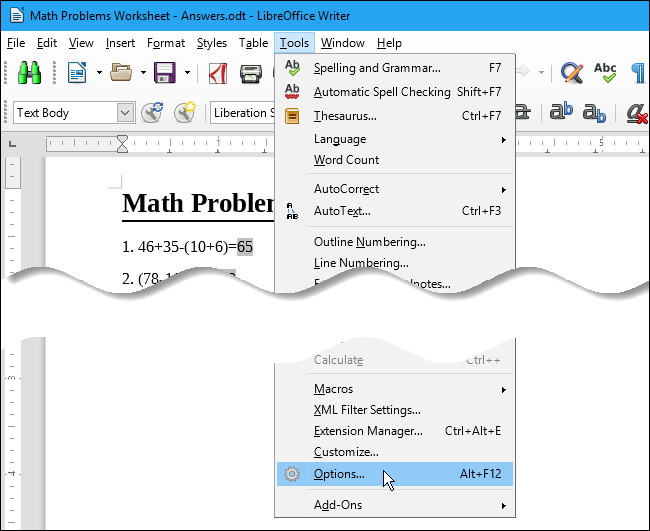 When you show or hide the field shadings, or change the color, in one program, the changes affect all the other LibreOffice programs, where applicable.